A single fruit or vegetable alone cannot provide all that we need. Humans need a diverse, phytonutrient-rich diet that provides the full rainbow of colours found in vegetables and fruits. Phytonutrients are plant-based compounds that are known to play an important role in human health and offer powerful antioxidant protection. 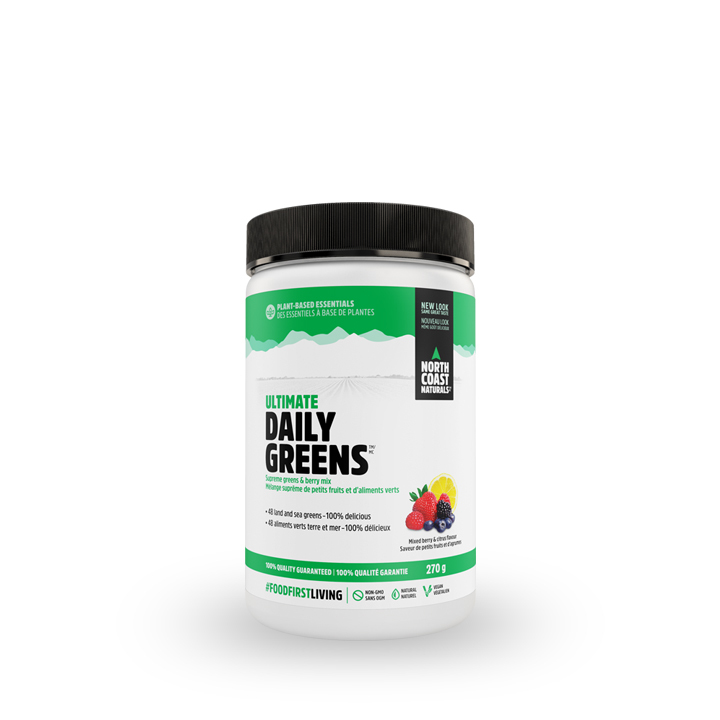 Each antioxidant-rich serving of Ultimate Daily Greens™ can help neutralize the damaging effects of free radicals while also providing a highly alkalizing blend that helps the body restore its optimal acid/alkaline balance. The addition of red marine algae not only contributes to the already alkalizing blend but is also very mineral rich. Studies demonstrate that isolated plant compounds can never replace the synergy that exists in whole plants. Our superfood blend provides the goodness of whole foods, not just individual plant chemicals isolated in a lab. You can’t beat Mother Nature. We carefully craft our formula in small batches to ensure that each ingredient going in maintains its purity and potency. We only make what we proudly use ourselves!